Thank goodness I survived the past 6 weeks!!! First off I just wanted to say, Thank You to all of you who have been commenting and supporting me. It has been a crazy month. I have been sick and I injured my back, but I have survived and I made it to week 6. Hallelujah!!! For those of you who are new, I have been participating in the One Room Challenge hosted by Linda from Calling it Home as a linking participant. 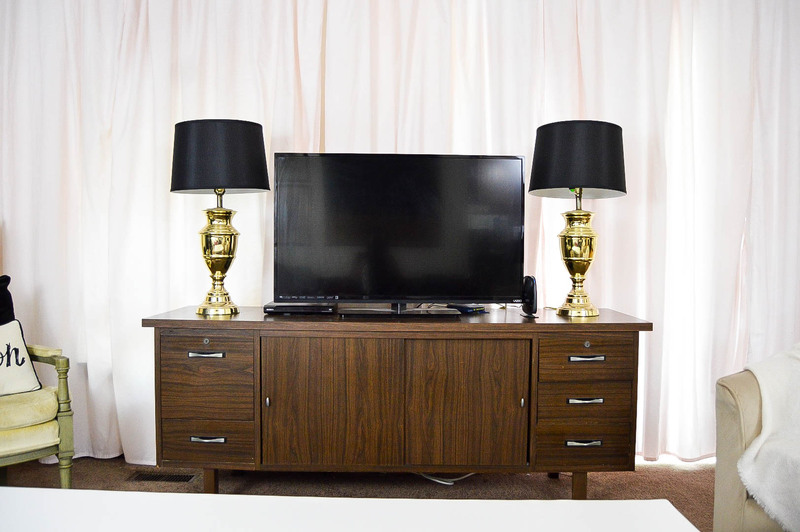 The premises for this challenge is to basically makeover a whole room in 5 weeks and reveal it the 6th week. 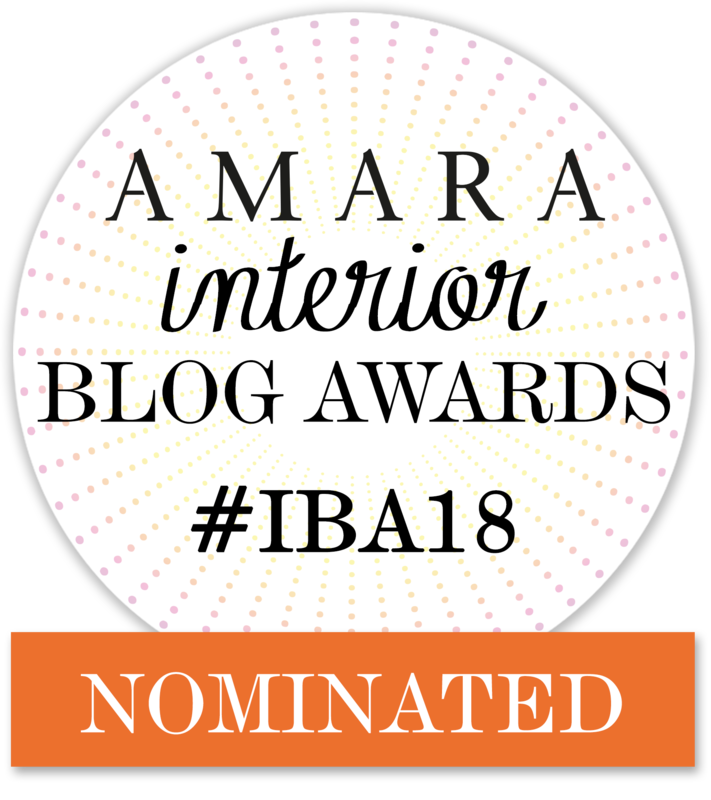 Linda chooses 20 bloggers to take on this challenge and everyone else (200+) are all linking participants who want in on the fun. Haha! 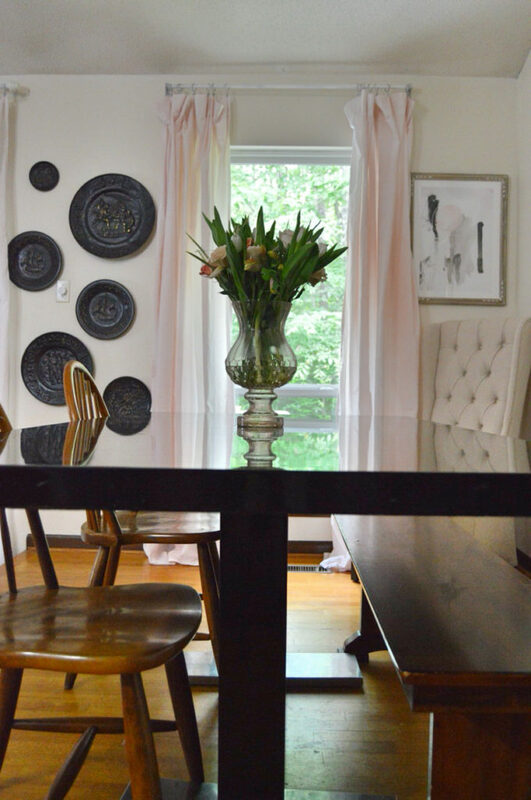 I chose to makeover my family room and eating area. Both rooms open up to each other so it was only right to makeover both spaces. Before I go any further, I would like to give my sponsors a big virtual hug and say, Thank You. With out you collaborating with me. I would have not been able to put this room together. Thank you Lamps Plus for my matching swivel chairs, Minted for the art, Rugs USA for the black and white rug, Rit Dye for providing me with dye for my curtains. THANK YOU!!! This was what my family room looked like when we moved in. The main couch that was sitting in here was the couch I ended up reupholstering and our T.V sat on a small dresser prior to this makeover. Nothing much, still a blank canvas. 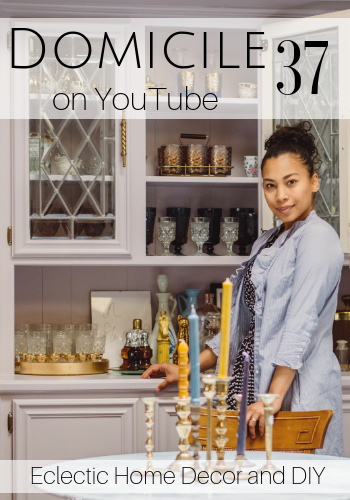 I shared how I created a faux fireplace facade during week 3 of the challenge and in week 5 I discussed why I went black on the fireplace. The paint I used was from Ace Hardware and is part of the Clark + Kensington line called Midnight Stroll. 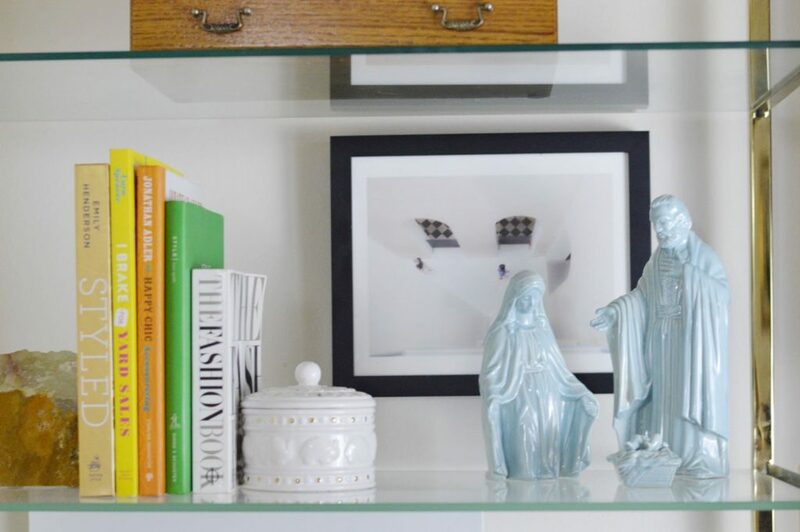 My shelf is full of thrifted treasures mixed with some modern art from Minted. 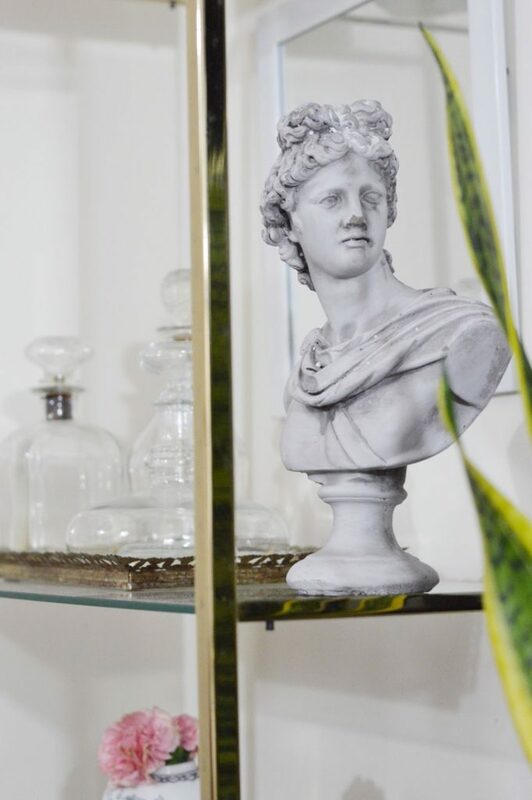 You cannot go wrong with an Eclectic Collected style. Everything just fits so well together. I used a layering technique to incorporate an oversized black and white rug from Rugs USA and a rug I picked up on Craigslist for free about a year ago. I shared the full layered rug minus the coffee table on Instagram. I could not have made a better choice going with the black and white rug. I absolutely love it. This particular rug comes in numerous colors over at Rugs USA and was the only rug that I can find in the size that I needed in the colors that I needed. How cool is that…it all worked out. 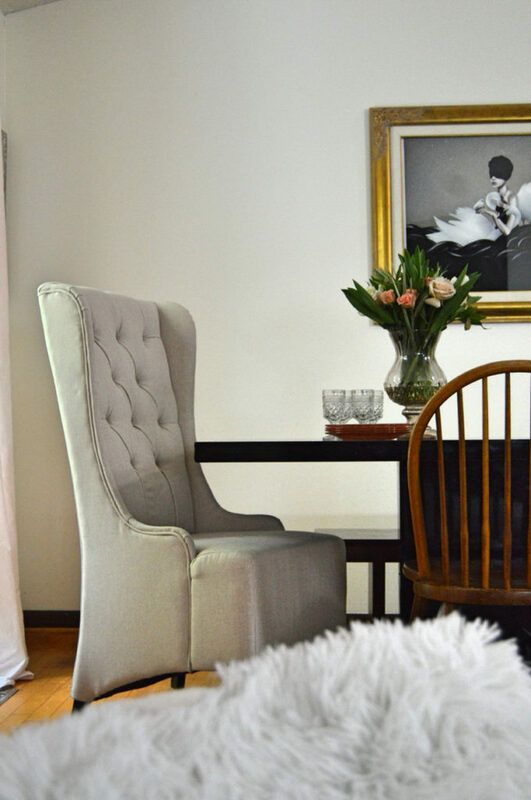 You can see how I took my Chinoiserie couch and reupholstered it with velvet, here. I shared how I created an oversized color block wall art, here. Embarrassing….one word, KIDS! 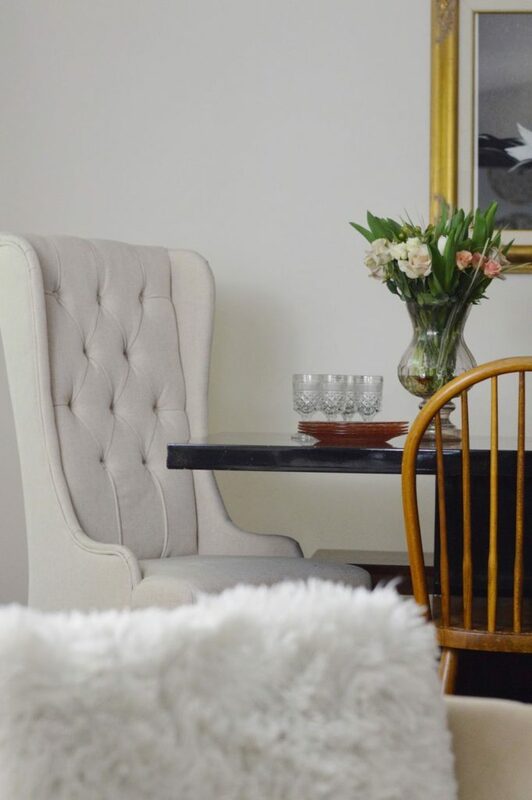 I have shared sneak peeks of these stunning cream colored chairs from Lamps Plus all over Instagram…it is a shame my coffee table is in the way. These chairs are so comfortable and stylish. Everyone in my house loves them…I will not lie, I still wrap them up in the dust covers they came in. Again, one word…KIDS. Here is a flash back image of what my eating area use to look like. Not bad, eh? That is a wrap. I have some friends who also participated and I cannot wait to check out their spaces. 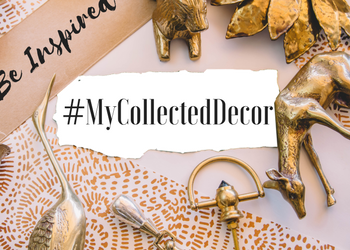 If you want, you can join me you can hop around and be inspired by all of these beautiful One Room Challenge guest participants! Be sure to stop in again later this week for all the REVEALS! Again, I would like to thank those who have partnered up with me to make this room possible. 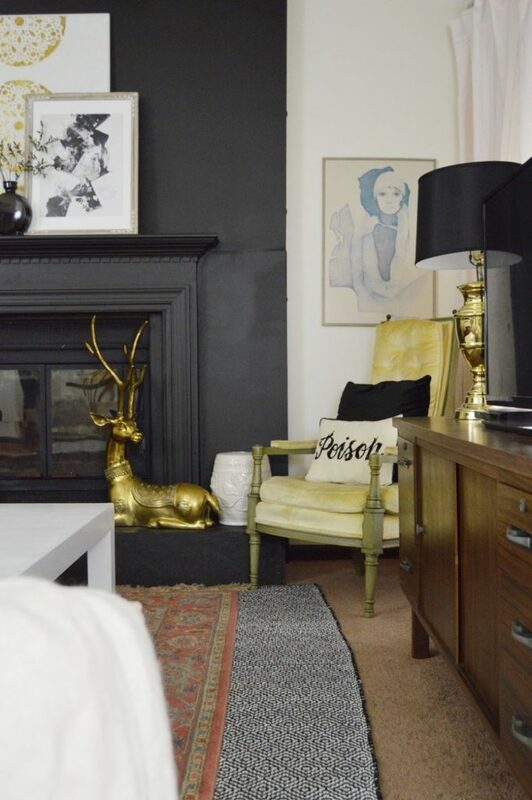 Every time I see that deer on the fireplace I swoon. I love him against the new black backdrop which is a great improvement to the old stone stone. Such a dramatic new look, well done! SO chic! The red velvet couch with the black fireplace is just SO good! Oh. My. Gosh!!!!! That fireplace is giving me all the heart eyes!!! I love, love, love the colors you have going on and all the gorgeous accessories! I'm so impressed with how much you got done! Girl! You and your gold accents get me every time! Well done Jess! 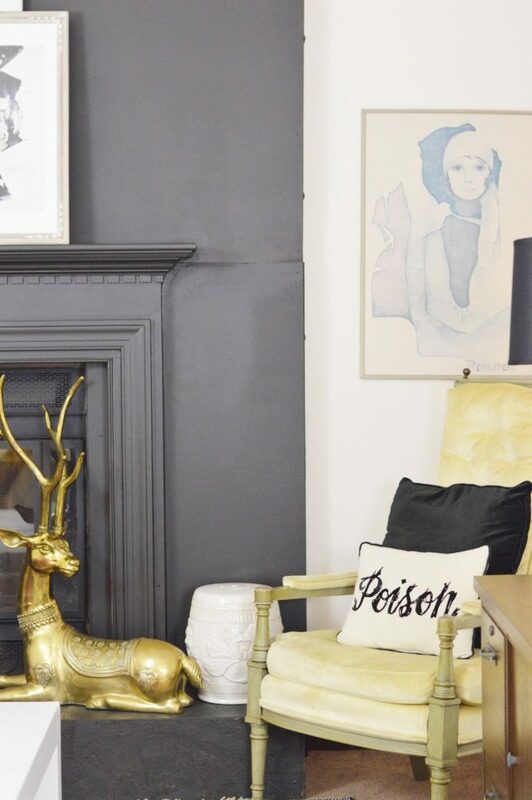 That gold deer on the fireplace is everything! it looks amazing, jess- i love love love what you did to that fireplace! i love the eclectic mix that is just so very you. 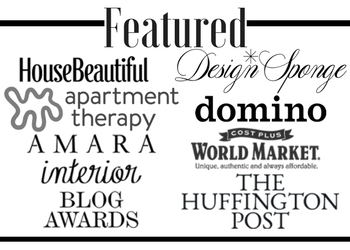 Way to go Jess – your space is so chic and beautiful! Jess! This is insane. I love… pretty much everything about it. Too much to list! It's so you and so good. Congrats lady! 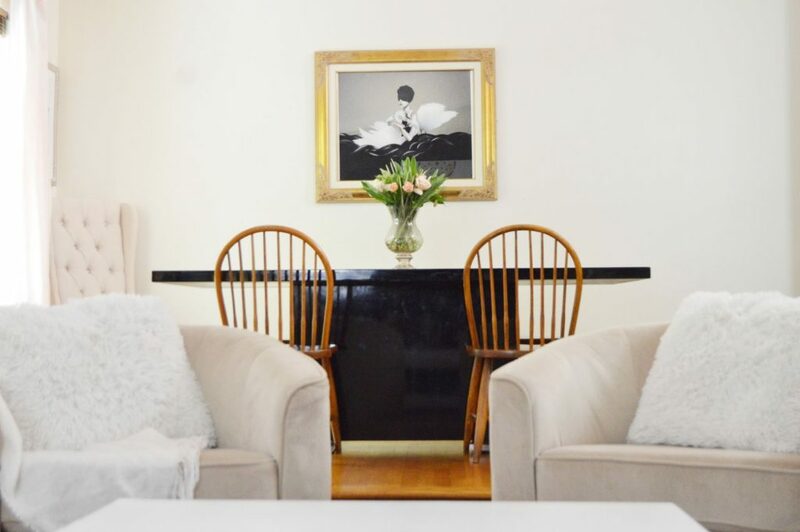 My favorite picture is the black & white throw against the velvet couch, with the gold table in front. So dramatic! Awesome room! The black fireplace is killing me. And what is that gorgeous creature resting on it? Seriously. I can't wait to see your tutorial on the drapes – love the color! Wow, everything really came together and the space is great. Also, those fluffy white pillows on the pink chairs look soooo comfy! Love it all! 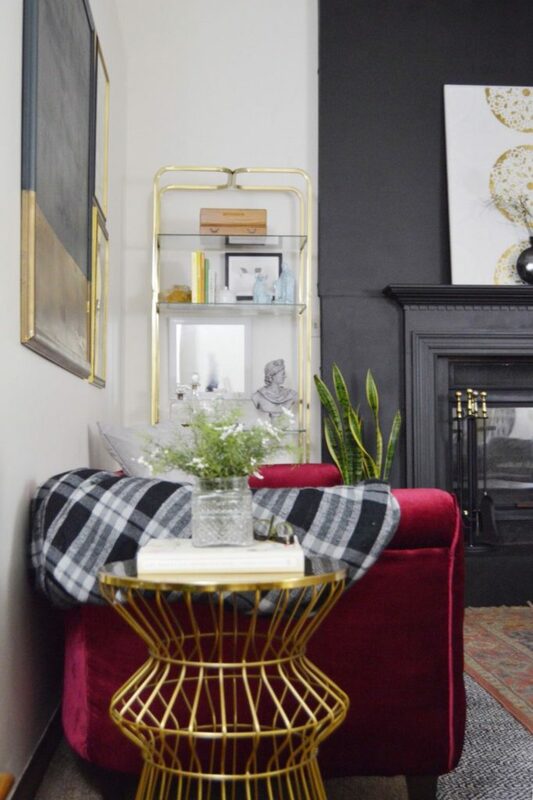 That gold shelf with all those perfect eclectic accessories really makes the room pop against that black fireplace. Great job, friend! The fireplace steals the show. Love the contrast all the way to the top! I love the vibe of this room. It's perfectly eclectic. 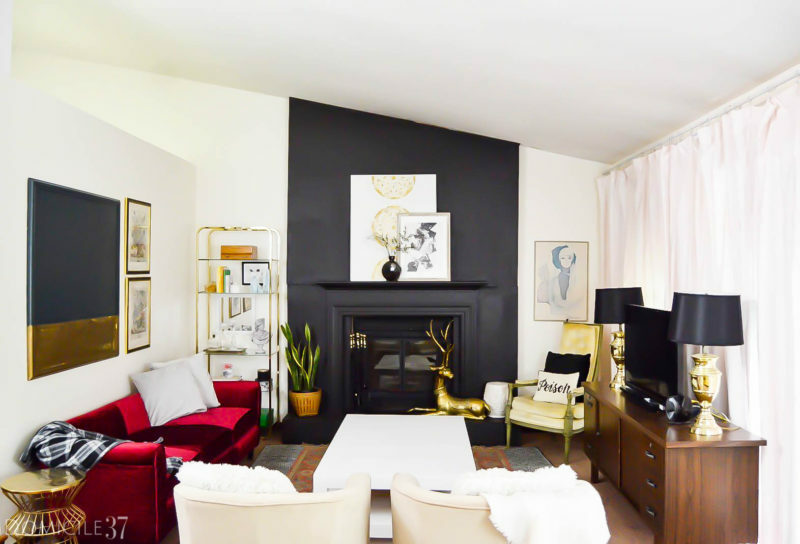 The étagère is gorgeous and love the painted fireplace. Really beautiful. Ok, I'm dying. I ADORE the wall in the dining room. The plates perfectly balance out that amazing print. All of it's so good. 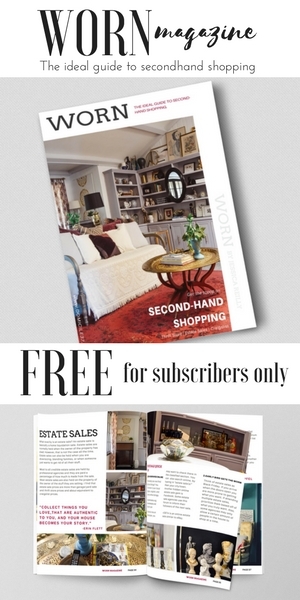 Can I shop at your house?! Wow, I can't believe it's the same room now! 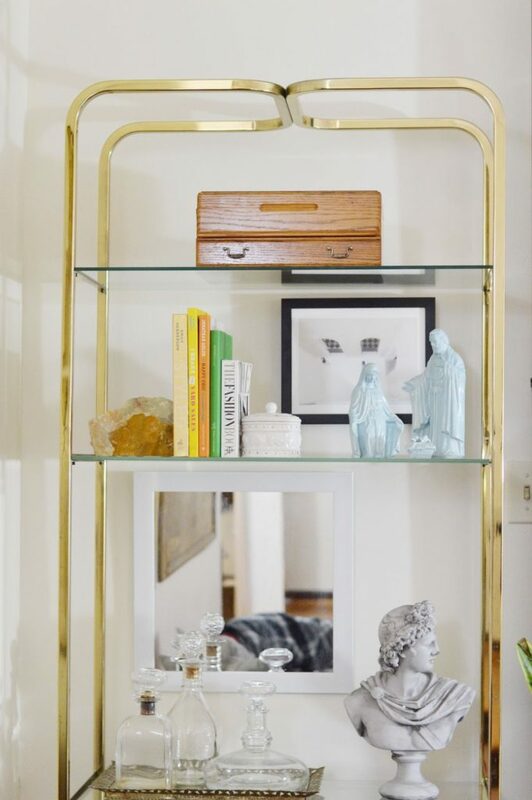 Love everything and I'm so stealing the idea of those brass plates, I've seen a ton and kept passing them by, I will grab them next time! Congrats and Cheers for another room done! 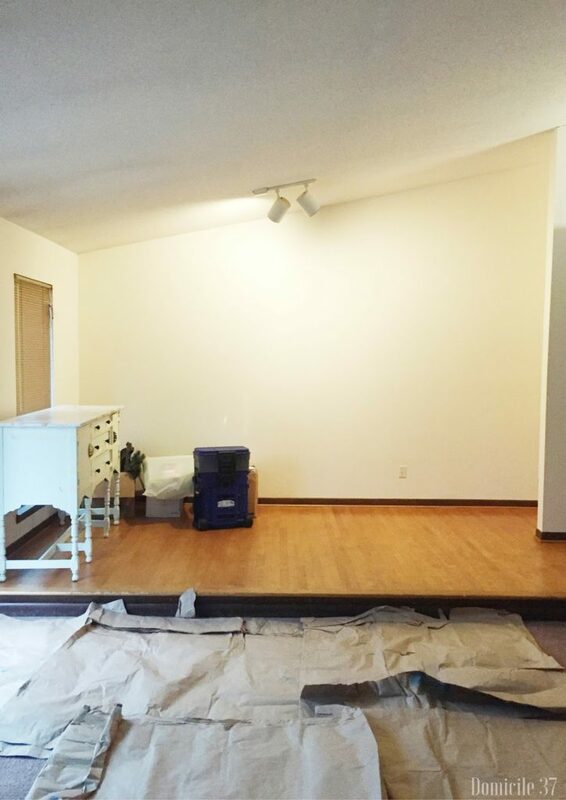 WOW, what a major transformation in both spaces! Love the clean lines and modern look! Bravo on a job well done! You did it!! It looks amazing. I love the pinkish curtains! It carries a hint of the red velvet couch over to the dining room. Looks great, Jess! 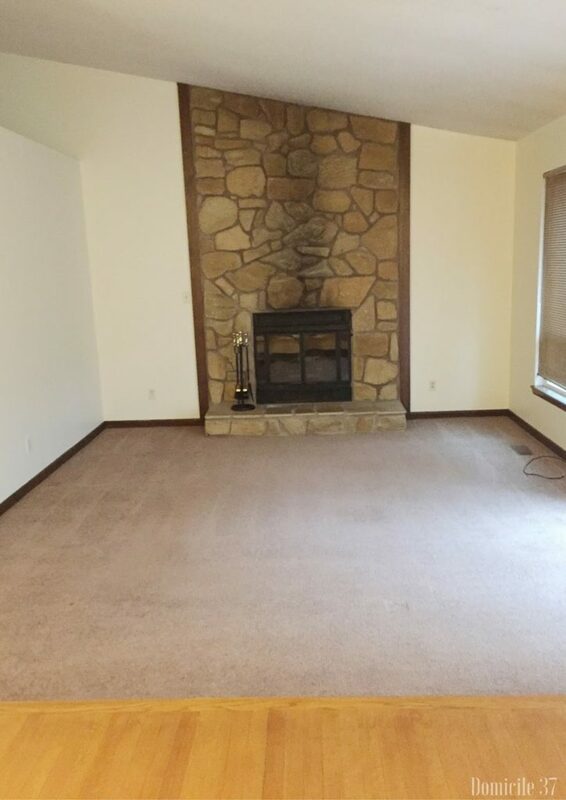 You really worked wonders with that fireplace–it transforms the space! Love it all! Oh Jess, this is just fantastic! Love the mix you have going on and it's just such a dramatic space. Great job! 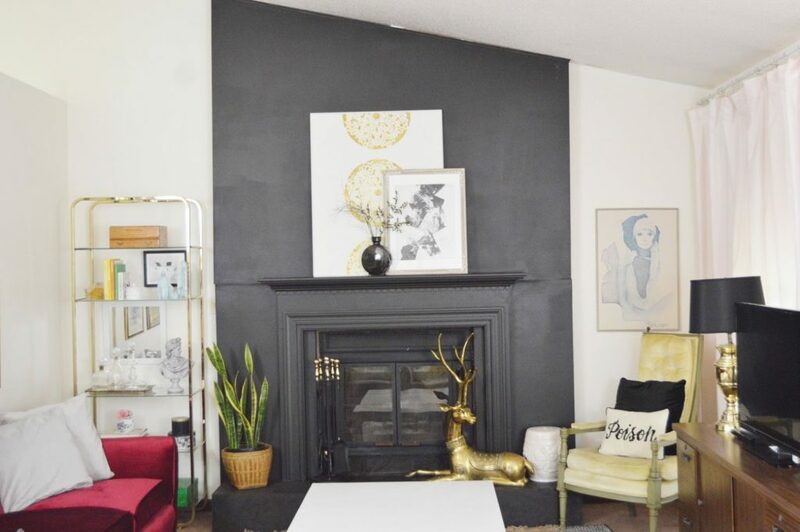 I love what you did with the fireplace & your styling is great! I love the back on the fireplace, and paired with the blush and gold, it's so pretty. Huge transformation! And by back I meant black! The fire place looks fantastic. It all came together beautifully. Well done! Love the accent wall in the living room area! What a great space! So many cool textures…what a transformation!!! LOVE both spaces!!! 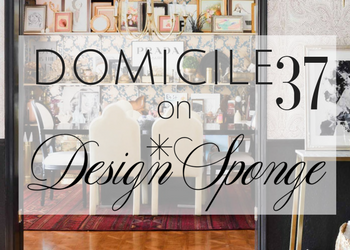 The swivel chairs, the fireplace, the sofa, the layered rugs…everything! 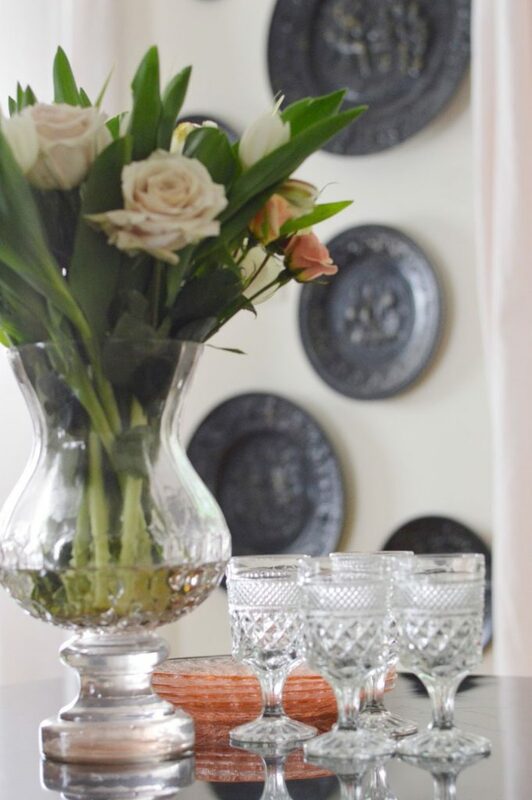 Love your eclectic style and ability to apply it "right". 🙂 Great eye, awesome transformation!!! I love the dark fireplace! And that deer? He is so amazing! I am actually pretty jealous of him! 😉 I love the velvet couch and… well I pretty much just love it all! Great job! Jess, you ROCKED this space! The dramatic fireplace, touches of gold and that couch! I really like the layout too. I so struggle with that. Placing the TV in front of the curtains, yahhh! Super cozy. I love how dramatic and moody your space is now! Wow wow WOW! You did such an amazing job, Jess! And insanely inspirational in that you couldn't make permanent changes! I love your color palette and the moody black touches! Have you showed this to your landlord yet? he will die of happiness. This looks incredible. 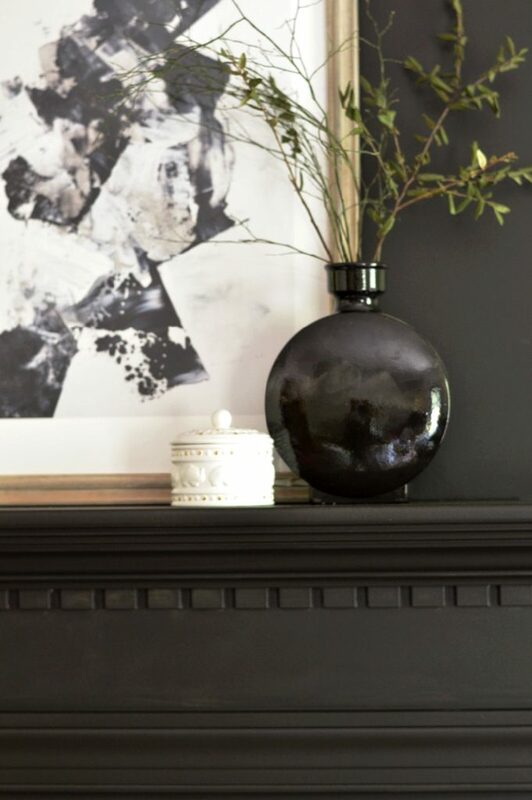 I have a fireplace in my new home and I was thinking of painting white and black but when I see yours! Love it all! Especially all of the black and gold accents. I might come steal everything when you're not looking. This is fantastic Jess! So dramatic. 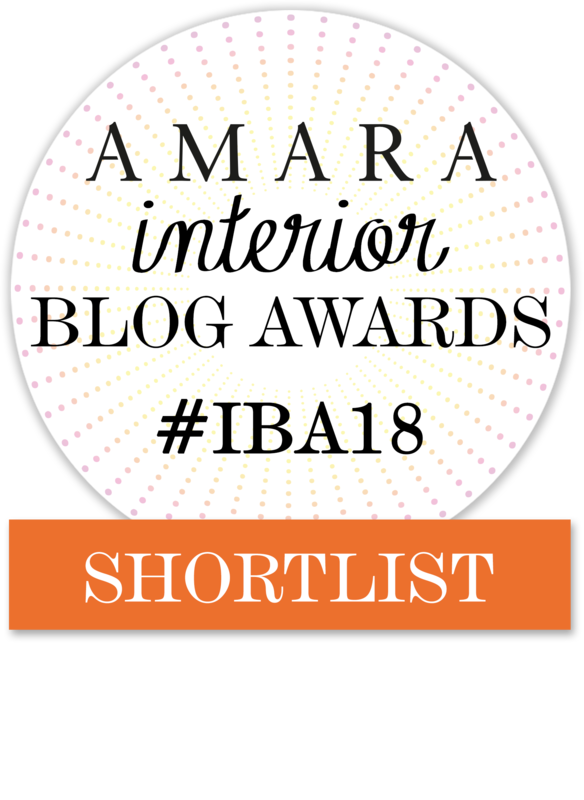 Loving the velvet sofa and fireplace! 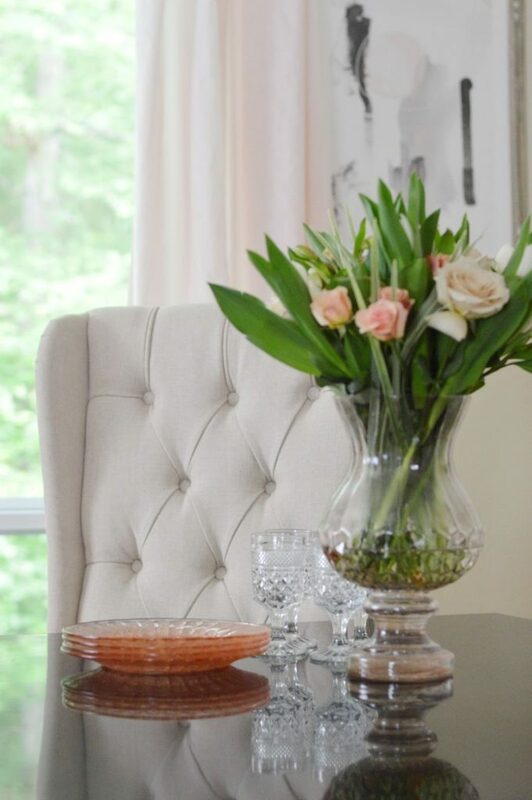 All of the blush tones are so, so pretty paired with the other glamorous elements. You are so good at this! Your fireplace transformation is amazing!!! What an innovative way to temporally update the space. The landlord would be a fool not to leave that update in place!!!! Your overall space looks fabulous. Well done!!! That fireplace! Wow Jess! These rooms are incredible! You did a wonderful job Jess. 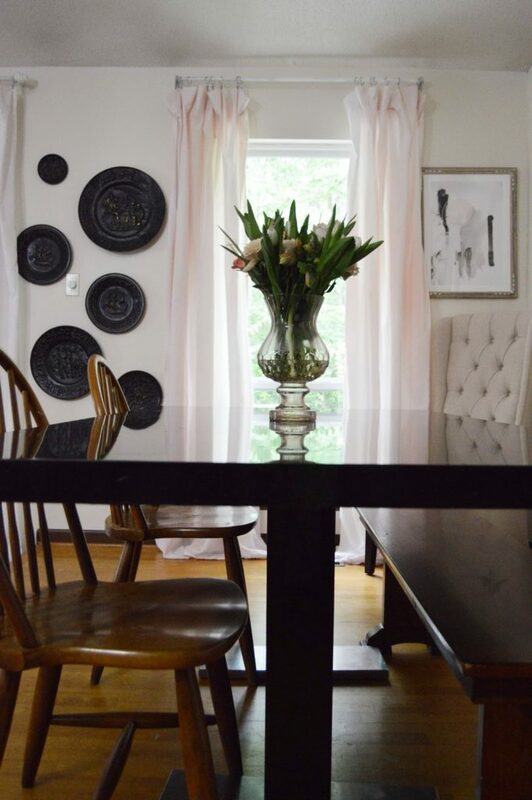 I like the black pops and pink curtains – difficult to believe it is a DIY – such perfection. Love the art works around even the collected plate display – nice unexpected touch. I a late here – just started catching up on one room challenge. Holy wow! Love love love this room! Perfect combination of everything – the black, gold, pink, the rugs, the accessories. Cheers on a stunning makeover! I am fairly new to your site and just want to say I am SO impressed. Your home is beautiful,and feels unique. Thanks for letting us all peek in!